When you go to hang a shelf on a wall you will either need to fasten the shelf directly into a vertical wall stud or secure it using a wall anchor (if there is no wall stud support behind the shelf mounting bracket). 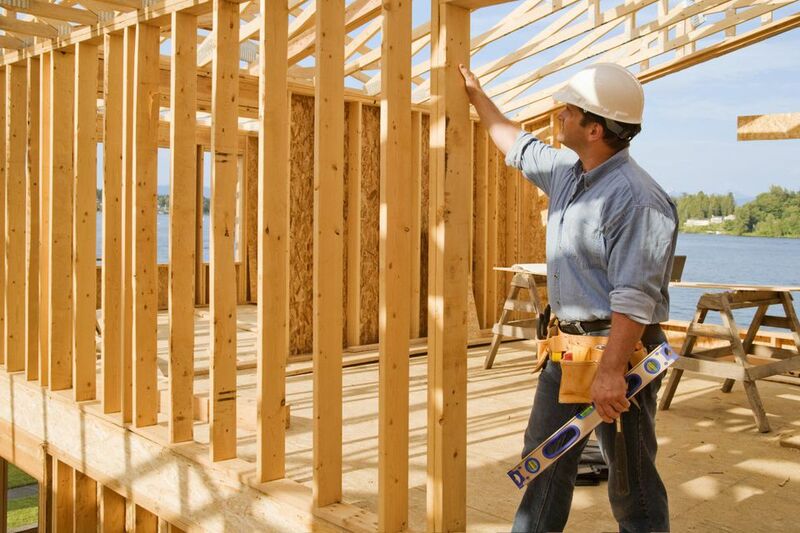 Wall studs are the upright pieces of 2x4 wood framing that form the frame of your house. Most people rarely need to bother with studs, but knowing how to find them is valuable when anchoring oversized picture frames and mirrors, bookcases or other heavy items to the wall. There are some tricks to finding a wall stud but using an electronic stud finder is the easiest non-invasive way to locate a stud. Electronic stud finders: The easiest and most precise way to find a stud in a wall is with an electronic stud finder. These work by measuring the relative density of a portion of a wall. When the stud finder identifies an area of high density, it lights up, indicating a stud. Magnetic stud finders: An inexpensive alternative to the electronic stud finder is the magnetic stud finder, which uses magnetism to identify nails or screws embedded in studs. These tools work fairly well in basic situations, but they are best used as a supplement to an electronic stud finder. One potential issue with magnetic stud finders is that they also detect pipes and metal conduits, so you will need to be diligent about marking the location of the actual studs. Just remember they are typically 16 inches on center. Does Spackle Have a Place In Home Remodeling? What Tools Are Needed for Drywall Work?